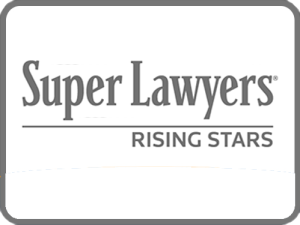 For the third year in a row, Disability Attorney Matt Liebenhaut has been selected as a rising star by Super Lawyers magazine. The Super Lawyers selection process is completely driven by peer review so a selection says a lot about the professionalism, confidence, and ethics of a lawyer as viewed by his or her peers. Mr. Liebenhaut is the only disability attorney in the entire state selected as a Rising Star in 2015 and the only Tallahassee disability attorney recognized by the magazine. “I am honored that my peers thought enough of me that I have been designated three years running,” said Mr. Liebenhaut. If you or someone you know is searching for Tallahassee disability attorneys to help them with a long-term disability insurance or social security disability issue, contact the law office of Matt Liebenhaut to obtain a free case evaluation. The Law Office of Matt Liebenhaut is a Tallahassee law firm practicing in the areas of disability and family law. Matt Liebenhaut is a Tallahassee social security disability and family law attorney. At Liebenhaut Law we treat our clients with respect, kindness, and professionalism is our guiding principle. Mr. Liebenhaut ensures to take the time to get to know his clients, hear your concerns and keep you well informed. Call us today for a free SSD case evaluation with a Tallahassee Social Security Disability Lawyer.